School’s Out for the Summer — Where are Students Traveling? Many students take advantage of their extended break and go on a multi-week adventure over the Summer. From backpacking adventures to road trips, students are generally traveling for more extended periods than the have the chance to do so at other points in the year. 18% of students are traveling on 15-21 days trips and 15% on 22-30 day trips this Summer. Let’s start with the hot spots for Summer ‘17. The following are the top 20 most popular destinations students are traveling to this Summer. While many of these locations are repeat destinations from last Summer, there are three new locations on the list this year – Lisbon (#8), Reykjavik (#13) and Toronto (#19). Reykjavik is not only a popular spot for students to visit because of how cheap you can find flights to get there, but a lot of students are taking advantage of the opportunity to do stopovers in Iceland en route to other destinations as well. Toronto also makes a lot of sense as a new addition to this list as Canada is the cheapest international destination to travel to from the US this Summer! One of the best tricks for scoring a cheap Summer flight is knowing what locations are the most inexpensive to get to at each travel period. The cheapest destinations for students this Summer (through August 30, 2017) have international roundtrip flights starting at $182. Staying in North America? US to Canada or Mexico for under $200. Canada is the cheapest international destination from the US for the Summer – New York to Montreal is $182 roundtrip and to Toronto is $192 roundtrip. This is likely the reason Toronto earned itself a spot on the top 25 destinations list at #19 after not being in the top 25 last year. The cheapest flight to Mexico last Summer was Chicago to Mexico City for $312. This year you can get to Mexico for 36% cheaper than last year, under $200! San Diego to San Jose Cabo is $199, Chicago to Mexico City is $221, Houston to Cancun is $221, Houston to Mexico City is $226. Visit the Caribbean Off-Peak, for 27% cheaper than last Summer! Last Summer you could get to the Caribbean for under $300, but this year you can get to the Western Caribbean (Miami to the Grand Cayman Islands) for $207! Fort Lauderdale to Nassau is $231, Fort Lauderdale to Aruba is $250, Miami to San Juan is $242 and New York to Bermuda is $305. Europe from $342! 42% cheaper than last Summer! We thought roundtrip Europe flights last Summer starting at $590 was a steal, and this year, roundtrip flights are in the mid-$300s. With so many cheap lodging options in Europe and easy travel around, it’s no wonder that 42% of Summer trips departing from the US and headed internationally are headed for Europe! Reykjavik is on the list of the top 25 Summer travel destinations for 2017 (at #13 as a new addition to the list this year) and it makes sense. Reykjavik is one of the cheapest places you can get to this Summer from this US. 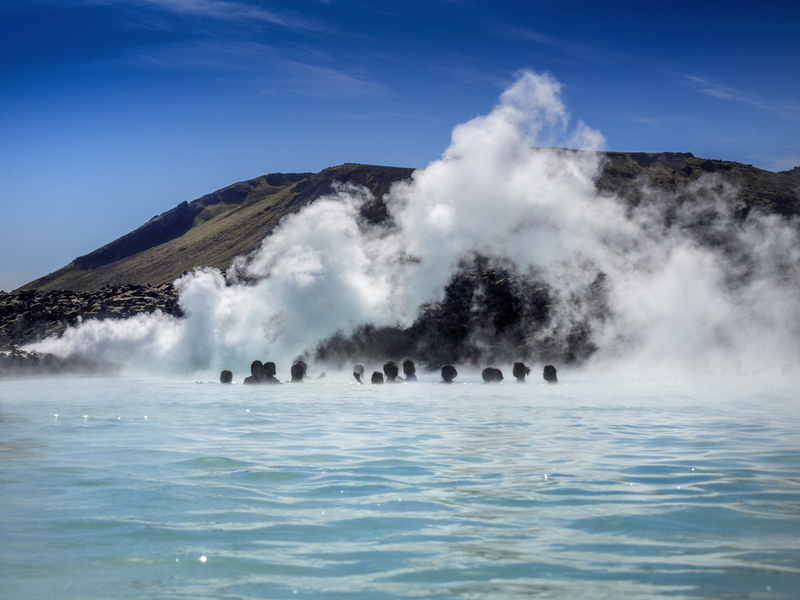 Flights from Chicago to Reykjavik are $370 roundtrip. Similarly, Lisbon is on the top 25 list this year at #8 after not even making it in the top 25 last Summer. The cheapest flights we are seeing to get there are out of Boston for $443 roundtrip. Generally, arriving in smaller, less popular airports can help keep fares down, and we certainly saw that this year! The cheapest fare to Europe for Summer travel is from New York to Shannon for $342. Flights in to Dublin, Copenhagen, Venice, Stockholm, Oslo, Stockholm, Amsterdam and Brussels were also among the least expensive, all under $400 roundtrip. Want to head to Asia this Summer? Head to Nagoya, Japan from San Diego for $427 – it’s the cheapest place to travel to in Asia this Summer. Prefer to hit the major cities? You can get to Beijing from Seattle for $454 roundtrip (36% cheaper than last Summer) or Tokyo from Honolulu for $481 roundtrip (35% cheaper than last Summer). 37% of travelers going abroad this Summer are headed to Asia. We Are Now a USTOA Member! The latest updates on our company, team, events and partnerships. Contact us at blog@studentuniverse.com.